A public servant, a mayor, a retired teacher and a university employee are among those who have displayed outstanding commitment to Sam Houston State University, as well as their respective communities, and have been selected to receive the 2005 SHSU Alumni Association Service Awards. 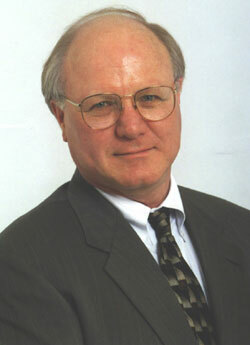 Ron Goethals, H.G. "Hap" Harrington, Richard A. "Rick" Hartley, Cecelia P. Marquart, Patricia Shell and Joanne N. Sikes will be honored at a luncheon on April 18, at 11:30 a.m. in the Lowman Student Center Ballroom, for their fulfillment of the university's motto, "A Measure Of A Life Is Its Service." Tickets for the event are $18 for Alumni Association members and $22 for non-members. Reservations can be made though April 12 by contacting Rachel Larrison by phone at 936.294.4123 or by e-mail at larrison@shsu.edu. A 1977 graduate of SHSU with his Master of Arts degree in criminology, Ron Goethals worked as public servant in the criminal justice field for more than three decades. He received his bachelor’s degree from the University of Texas in 1970 and a Master of Business Administration from the University of North Texas in 1983. He began working in the criminal justice field in 1970 as a deputy sheriff for detention at the Dallas County Sheriff’s Department. After two years, Goethals moved on to the Dallas County Community Supervision and Corrections Department, where he served in many capacities for the rest of his career, including 15 years as director. “ During his tenure, Ron embraced innovations in the delivery of probation services; he positioned his resources where they could do the most good; he championed the introduction of evidence-based principals to community corrections; he sought out relevant training to enhance staff expertise; and he encouraged his staff to assume leadership roles in state and national correctional organizations,” one nomination form said. A recipient of numerous national and state awards, Goethals is a member of many career-related associations, has served as a consultant to national and international agencies, and is a firm supporter of the university. “ During his distinguished career, Mr. Goethals, who is highly respected by his peers, has continually reflected favorable on Sam Houston State University,” another nomination form said. “ He has been a strong and consistent supporter of the College of Criminal Justice. He has hired our graduates, supported research initiatives, provided students with internship opportunities, been a guest lecturer, and served on the Advisory Board of the Texas Probation Training Academy, one of the programs of the Correctional Management Institute of Texas. Now retired, Goethals lives in Royse City with his wife, Janeal. From a distinguished football career at SHSU to distinguishing himself as the mayor of Tomball, education was a big part of H.G. “Hap” Harrington’s life even after he earned both his Bachelor of Science and Master of Education degrees in 1958. Harrington was member of SHSU’s only team to go undefeated for an entire season, as well as the 1956 Refrigerator Bowl, and win the first-ever National Association of Intercollegiate Athletics’ championship. After graduation, he served as a teacher, high school principal and superintendent for over 32 years, working for such schools as Raymondville, McAllen, Crosby, Klein and Tomball. 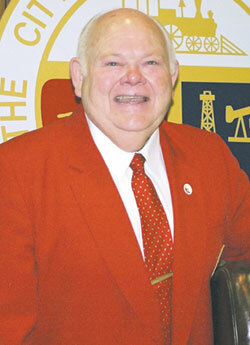 He was elected mayor of Tomball in 1992. “‘Hap,’ as he is known to the citizens of Tomball, has been given a gift of leadership, and he has used that gift toward the betterment of this community,” his nomination form said. His dedication to his community was recognized in 1990, when he was named “Citizen of the Year,” and received the “Community Builders” award from the Masonic Lodge of Texas. In 1987, he was inducted into SHSU’s Athletic Hall of Honor. In addition, Harrington is an Alumni Association and Century Club member, is a former president of the Ex-Letterman’s Association and served as the master of ceremonies for the letterman’s “Hall of Honor Banquet” for 12 years. “I would describe him as a person who is a hard-working, honest and dedicated Christian man who gives his time and talent toward the betterment of this community and mankind,” the form said. 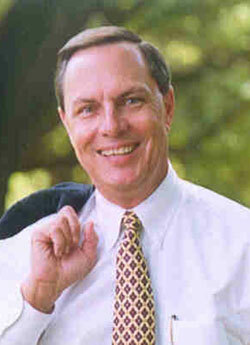 Harrington is currently serving his fifth three-year term as mayor of Tomball, where he lives with his wife, Shirley. Richard A. “Rick” Hartley is a 1992 graduate with a master’s degree in criminal justice. Growing up on a farm in Washington County, Texas, where he graduated from public schools, he is also a graduate of Blinn College and the University of Houston. Hartley was an award-winning Houston television newsman who is the only person to have served four police chiefs as director of media relations. He also served the State of Texas as an assistant director of the Texas Department of Corrections. He currently serves as the executive director of The 100 Club, a 22,000 member non-profit organization that provides financial support to law enforcement and firefighters in a 14-county area surrounding Houston. The organization has provided in excess of $2 million in scholarships to Sam Houston State University. Hartley is the recipient of numerous honors which include: The Governor of Texas Meritorius Service Award, Houston Police Department's Chief of Police Commendation (3), Outstanding Young Men of America, and the FBI Directors Community Leadership Award. In addition, he is a graduate of Leadership Houston, a member of the International Association of Chief's of Police, the Houston Livestock Show & Rodeo, the Whitehall Club and a Life Member of the National Guard Association of Texas and The 100 Club. At SHSU, he is a past president of the university's Alumni Association and has been recognized as an Outstanding Alumnus of the College of Criminal Justice. He is a member of the President's Advisory Council and the Criminal Justice Advisory Board at the University of Houston Downtown, where he is also honored as a Distinguished Alumnus. An SHSU staff member for over 25 years, Cecelia P. Marquart is also an alumna of the university, receiving her Bachelor of Business Administration in 1977 and her Master of Business Administration in 1979. Working in various capacities in the College of Criminal Justice, including serving as the project coordinator of the Texas Probation Training Academy, she is now project coordinator of the Drug Evaluation and Classification Program, a grant funded by the Texas Department of Transportation. Within the university, she has served on many committees, including convocations, 125th anniversary, investiture, the bicentennial birthday celebration, and the alcohol awareness and underage drinking initiatives, among many others. Marquart is also “well-known” through her work with other Huntsville schools, having served as president of the Parent Teacher Association for Huntsville High, as well as president of the Parent Teacher Organization for Mance Park Middle School and Huntsville Intermediate School. She has also served as a member of the Huntsville Hornet Booster Clubs for golf, soccer and football, and was the assistant coach for the Huntsville Girl’s Softball and the Huntsville Youth Soccer. “Cecil is intelligent and possesses dynamic energy and zeal, combined with a sense of flair and creativity,” the form said. She and her husband, James, have two children, John, a college freshman at Jacksonville University in Jacksonville, Fla., and Jessica, a junior at Huntsville High. A retired school superintendent, Patricia Shell received her Master of Education degree from SHSU in 1968. She received her bachelor’s degree from Wesleyan College in Macon, Ga. 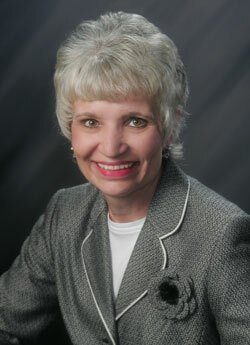 Shell worked in education for 31 years, teaching in the Columbia-Brazoria Independent School District, serving as a visiting faculty member for SHSU’s clinical education, and serving as superintendent for curriculum and instruction at Houston ISD before retiring as superintendent from Brazosport ISD in 1991. Among her many awards and recognitions, she was named Texas Superintendent of the Year in 1990 by the Texas Association of School Boards. 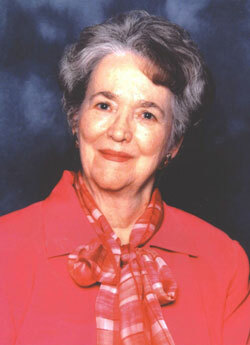 Within the Brazosport community, she is an active member of the United Methodist Church of Lake Jackson, where she served on the staff-parish relations committee and chaired the administrative board; was the first woman elected to membership in the Brazosport Rotary Club; was on the board of directors for six years for the Texas Gulf Bank; and served on the board of the Brazoria County Association for Citizens with Handicaps. In addition, she recently completed service as chairman of the board of trustees for the Center for Arts and Sciences. Her husband, Walter, is deceased, as is the oldest of their five children, two of whom are SHSU graduates. 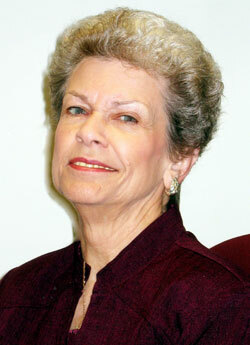 Joanne N. Sikes is a 1957 graduate with Bachelor of Business Administration degree. The office manager for the National Intercollegiate Rodeo Association for 18 years, she has stood out by being at the forefront of many SHSU projects and activities, according to one nomination form. Sikes was “instrumental” in creating the SHSU Parents’ Association, of which she is a life and charter member; is a lifetime member of the Alumni Association; and, along with her husband, Sonny, established the Sikes Endowment in 2004. “As a long-time worker with the Alumni Association (1992-2004), I can tell you Joanne has done everything—from stuffing envelopes for all the events, greeting new students, serving at various receptions and tailgate parties, to decorating and taking decorations down at every homecoming gala,” her nomination form said. Along with her university endeavors, Sikes was involved with the Girls Scouts as a leader and was instrumental in getting the Girl Scout House financed and built; has served as a past president of the Huntsville Study Club and Huntsville Garden Club; and has served on the board of the Huntsville Education Foundation, which includes being a past chair of the development committee. In addition, she is a past chairman of the administrative board for First United Methodist Church in Huntsville and has served on the board of directors for First Mexia Bank and Sam Houston National Bank. “Joanne presents a professional image and is well-respected throughout the city and county,” her nomination letter said. She and her husband have two children, Sherri Sikes Stephens, who is a 1980 SHSU graduate, and Larry Neil Sikes, a 1986 SHSU graduate. The couple lives in Huntsville.